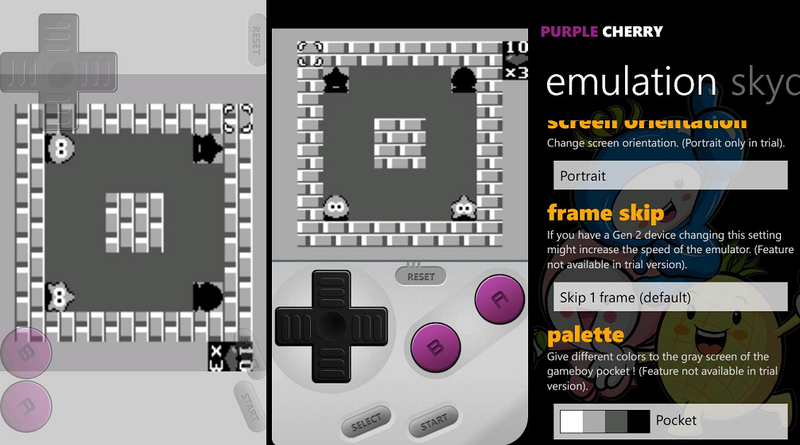 For those of you who remember Warrio's Jewels (WJ7), a sideloaded/homebrew Gameboy emulator, you'll be pleased to know that it has been renamed to 'Purple Cherry' and is on its way to the Windows Phone Marketplace. Yes this is from the same developer who brought us the Sega Gamegear emulator, Sonic's Jewels which was later renamed to 'Blue Tomato' (due to copyright infringement). In trying to avoid the same legal issues, the developer has opted for a renaming and rebranding before submission this time and the emulator is expected to pass. 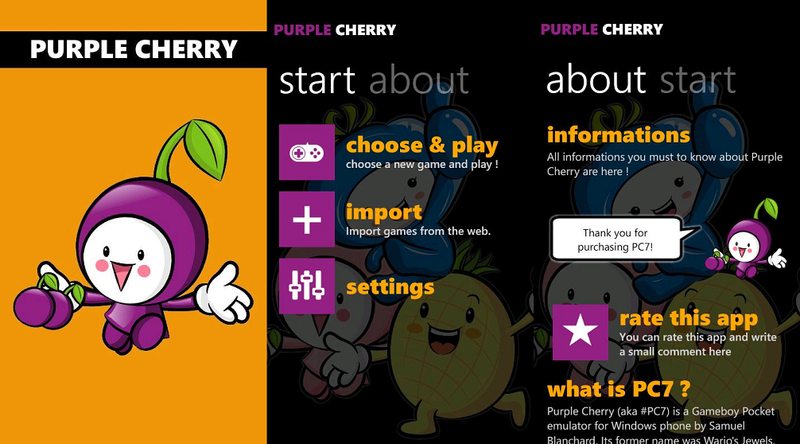 New images show that Purple Cherry is using the same design as Blue Tomato, something we're all for as it has an excellent layout with bold, clear fonts and UI elements. What's more, many fixes and improvements have gone into this updated emulator with more games running smoothly now e.g. Kid Icarus, WarioLand 2 and better Pokemon playability. In addition, SkyDrive support is there too allowing easy loading of ROMs to the emulator. No word on pricing but we bet the same $1.49 price range can be expected. We'll follow up more as we get closer to release.